At the cost of great human and national tragedy, war has been seen to accelerate economic and technological development because of the need to create tools adapted to specific military purposes. Most of the time, these tools then evolve into non-military devices and spread new technologies through various other domains. 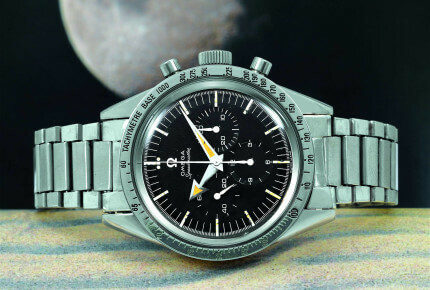 The Speedmaster is perhaps the most famous sports chronograph of all time, and definitely the best-known of the three watches considered here. 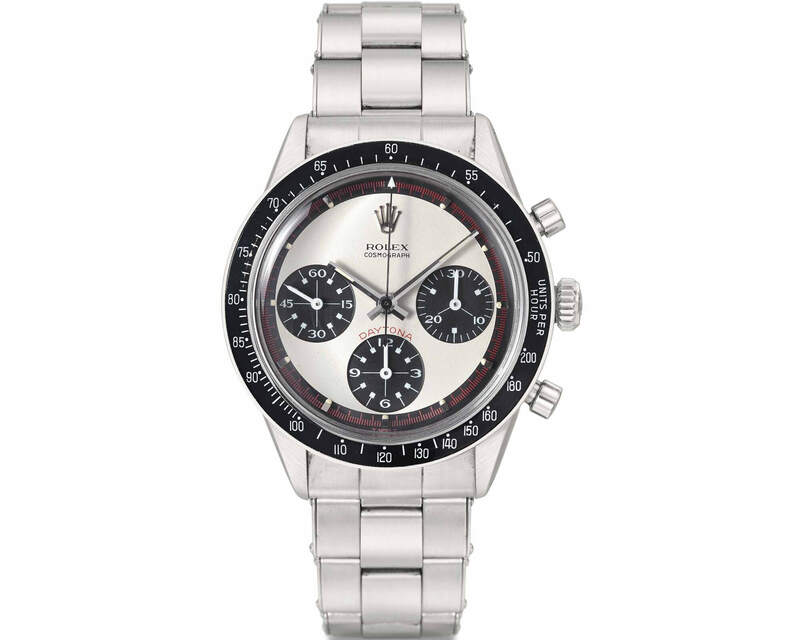 Ironically, the Speedy rose to fame not as a quality chronograph made for racing drivers and industry managers but much later, after NASA chose it as the standard issue watch that astronauts would wear on US missions to walk on the Moon. Inspiration for its design is said to originate in the dashboard clocks of Italian sports cars of the day. 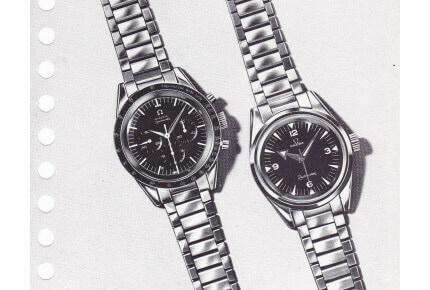 The CK2915 was part of a project between Omega and Lemania, one of Omega’s subsidiaries at the time. The prototype resulting from this original brief was ready at end 1956 and shown to the public in 1957 along with the other two tool watches. Collectors refer to the first Speedmaster as the “Broad Arrow” because of its distinctive hour hand with a large luminous arrow tip. This watch had a very clean dial devoid of anything which could compromise its legibility. The stainless steel bezel featured an engraved tachymeter scale with a matt finish, a novelty for a chronograph at that time. The chronograph was triply secured, hence this was a heavy-duty watch, water-resistant to 200 feet. Certain details which are often overlooked are the very things that made this watch stand out from the crowd including, notably, the fact that the chronograph seconds hand was poised at exactly the same level as the bezel. 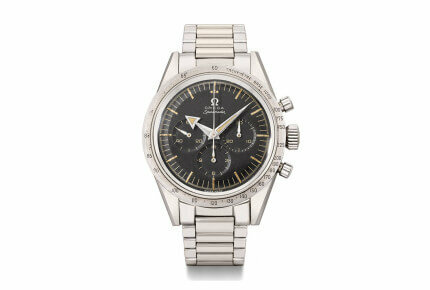 The Speedmaster line instantly and single-handedly changed the face of the chronograph wristwatch. The movement that would eventually equip the first Speedmaster began life as a research project in 1942 by the famous Albert-Gustave Piguet. Known simply as the 27 CHRO C12 (27 for 27mm diameter, CHRO for chronograph, and 12 indicating the caliber had a 12-hour totalizer), in 1949 it was renamed Omega Cal. 321. The caliber adopted a column-wheel design and the initial version had no form of shock-resistance. This, along with an anti-magnetic balance spring, was added in 1946. The legendary movement was the first to feature a 12-hour totalizer. It is still one of the smallest chronograph movements ever designed. The CK2915 spawned multiple versions (including a very early production variant as well as -1, -2, or -3 added to the reference number) which could be considered small updates. By –3, which is a transitional reference, the Speedmaster started to change and in 1959 the CK2998 was introduced. The CK2915 had a small production run between 1957 and 1959, and is therefore extremely rare and extremely expensive, although not that much more than the more mass-produced Rolex Daytona (a contradiction in terms, in my opinion). 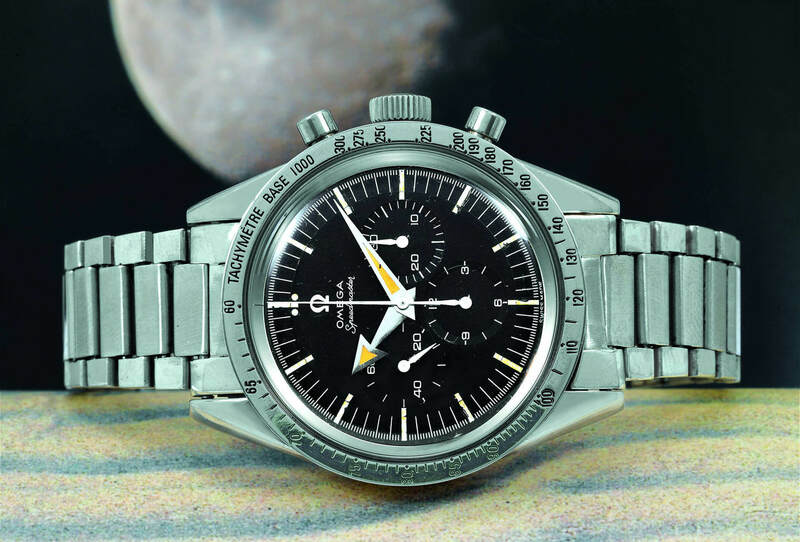 One can fairly say that the Speedmaster line instantly and single-handedly changed the face of the chronograph wristwatch, and it all started in 1957. The Railmaster was shockproof and shielded against magnetic fields of up to 1,000 Gauss. The Railmaster is the least familiar model of the Trinity, due to the lack of continuity in the company’s lineup. It is rooted in highly precise railway wristwatches and in the so-called Omega RAF-53 CK2777 which had protection against magnetic fields. 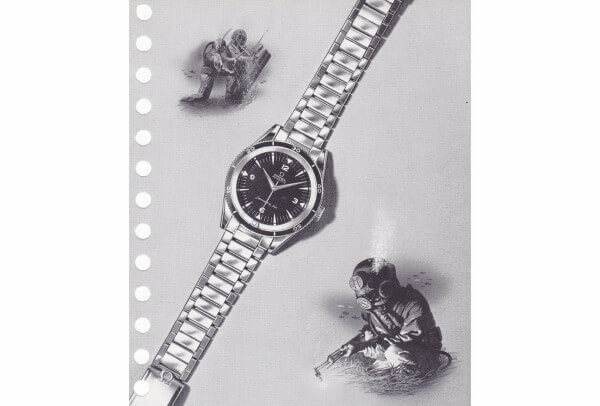 IWC in Schaffhausen was first to explore enhanced anti-magnetic protection (Mark pilot watches), and first to introduce a watch with this type of protection to the market (the Ingenieur Ref. 666 in 1955). The Railmaster by Omega came later; it was, however, a proper tool watch. 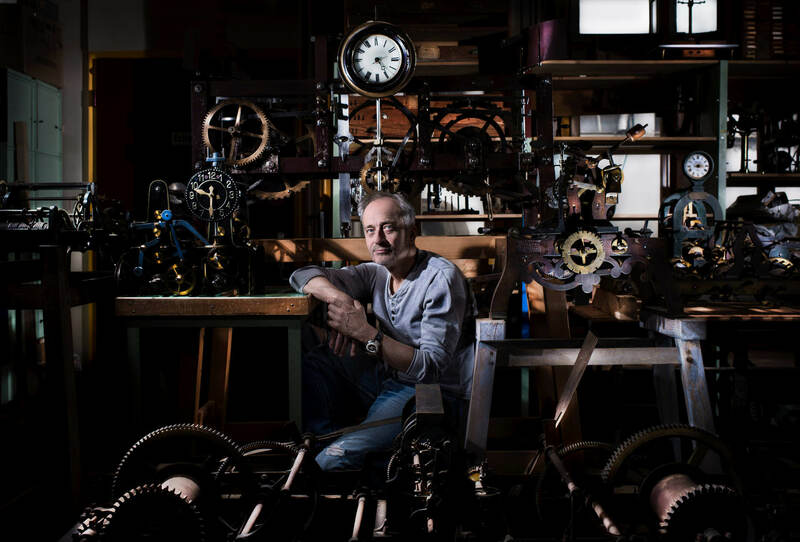 The Railmaster was designed for scientists and engineers whose work exposed them to strong magnetic fields. Magnetic emissions produced by large motors, alternators, power stations, etc. seriously affect the timekeeping of ordinary watches, often stopping them completely. 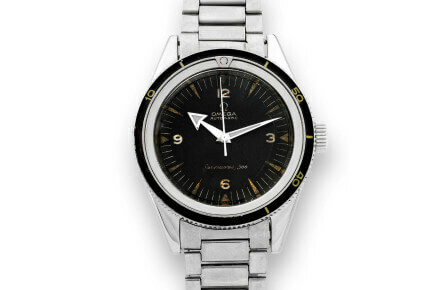 Omega not only created a watch that was triply protected (as are all the Holy Trinity watches), it also made it impervious to magnetism through several key changes. The dial, an important aspect of an anti-magnetic watch, was 1mm thick. This is far more than the standard 0.4mm thickness Omega used for its normal dials. The 38mm Staybrite stainless steel case, made by Huguenin Frères, had a screw-in back. Furthermore, it incorporated a NuMetal soft iron inner plate that formed a Faraday cage to protect the movement. As a result, the Railmaster was shockproof and shielded against magnetic fields of up to 1,000 Gauss. Despite offering such complete protection, the Railmaster was short-lived: the model was discontinued in late 1963. There were multiple versions of the CK2914 (identifiable by numbers -1 to -6 added to the reference, plus ref. 135004 which was the last in the lineup), which can be seen as small cosmetic updates. The one change all the sub-references had in common are the hands when, after maybe a year, Omega replaced the broad arrow hands with dauphine and baton styles. Another thing that makes the Railmaster extremely interesting are its two military versions. The Pakistani Air Force (PAF) version, which was delivered in 1961, was virtually identical to the civilian iteration, the sole differences being the dial, which had Seamaster script, the case, which had the initials P.A.F on the back, and PAF engravings on the movement. This variant was given model number 2914. A smaller second batch was ordered and given reference number 135.004. These featured Seamaster markings on the case back, the seahorse, the PAF signature, and the serial number. 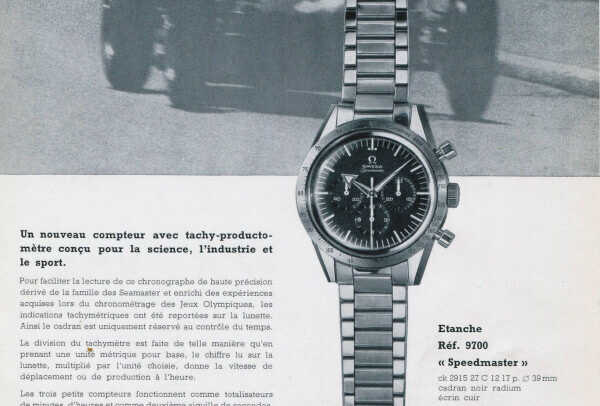 According to the Omega museum, 277 pieces were sold in total. A rarer military version of the Railmaster is the one produced for the Fuerza Aerea Peruana (FAP) or the Peruvian Air Force, which placed its original order with Omega in 1959. This version makes use of the Railmaster case and movement, although the dial and case back feature Flightmaster markings and script. In all its different variants, the CK2914 used three manual-winding workhorse movements. Caliber 284 was used between 1957 and1958. It was a sweep seconds caliber with 17 jewels, beating at 18,000 vph with a power reserve of 43 hours. It was fitted with a Breguet hairspring and, from 1943, Incabloc anti-shock protection. Caliber 285 was in use until 1961 and had a ring balance instead of a screw balance. For the remaining production, it was replaced by Caliber 286 which had a flat hairspring rather than a Breguet one. The Railmaster fell victim to its highly technical nature but was also outshone by its sibling, the Seamaster. Back then, dive watches were simply more popular. Still, this takes nothing away from its appeal and flawless execution. This metamorphosis has given rise to some excellent dive watches, proven by the fact that the Seamaster is still Omega's most popular line. Launched in 1948 to coincide with the brand’s 100th anniversary, the Omega Seamaster was the oldest line of watches in the catalogue. Omega originally intended it as a robust yet elegant watch for active individuals. However, around the 1950s dive watches started to evolve and take on the form and characteristics we are used to seeing today (timing bezel, more robust cases, fatter hands and crystals). 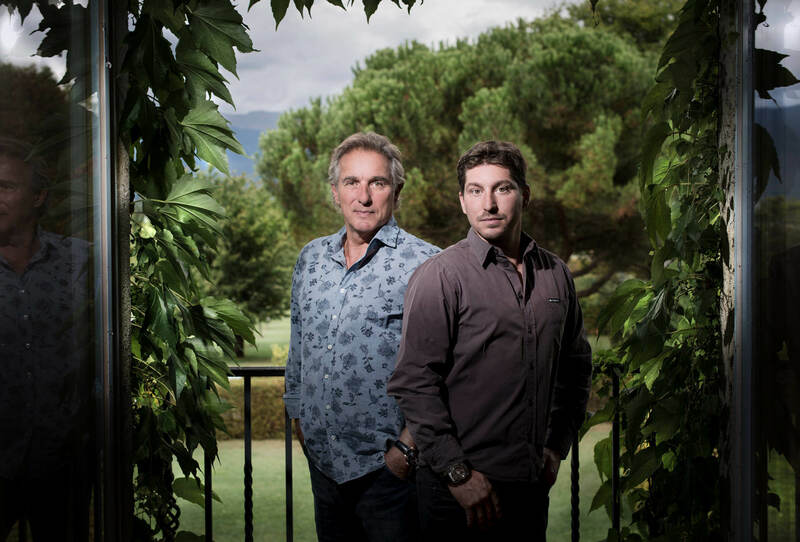 Blancpain, with its legendary Fifty Fathoms, and Rolex with the iconic Submariner were the first companies to take professional divers’ input seriously. 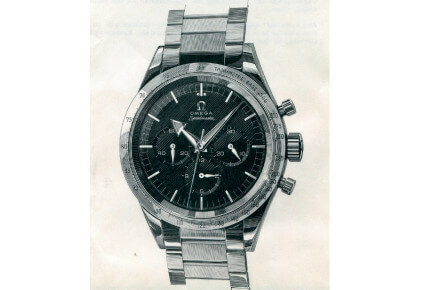 Omega of course responded with its line of dedicated divers, in 1957, and the Seamaster Ref. CK2913. The Seamaster 300 was water-resistant to 660ft (200m) and shared the same design ethos and technological innovations as its siblings. The Staybrite stainless steel case was by Huguenin Frères, had a screw-in back and a reinforced crystal. The Naiad crown sealed against water and moisture seepage. The main characteristic, given the nature of the beast, was the dive bezel or, as it was called in the literature of the day, mobile bezel. It offered a counter-clockwise calibration of remaining dive time with an additional luminous pip at 12 o’clock. The dial was identical to the Railmaster and the hands were shared with the Speedy and the Railmaster as well. The CK2913 was powered by a sturdy Omega self-winding caliber 501. The 50X series was produced between 1956 and 1960 before being replaced. During this period, several improvements were made and movements were renamed. All calibers were 28mm in diameter, 5.55mm high for the no-date and 6.40mm for the date, and ran at 19,800 vph or 6 beats per second. The Cal. 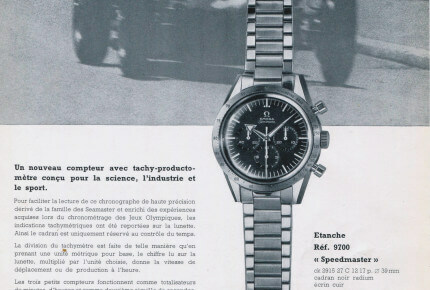 501 that equipped the first-generation Seamaster had 19 jewels and a power reserve of 46 hours. The CK2913 was produced in numerous variations from 1-7, all using the same movement, the same (radium) dial and the same case. Variants 1-2/3 had a back-count bezel, 3-6 had a forward-count bezel. Variants 1-2/3 had radium broad arrow hands, variants 3-6 had dauphine/thin arrow hands. The final -7 version had the lollipop seconds hand, probably to match that of the Speedmaster (CK2998). 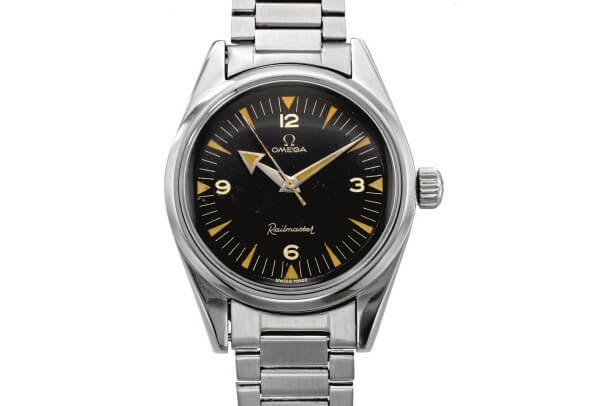 This Seamaster reference was replaced in 1960 by the CK14755 which had a different automatic movement, Cal.552. From that point onward, the Seamaster underwent radical changes. Notwithstanding its beauty and collectability, this first generation of the Seamaster (including sub-references) is not the most popular among collectors. That honor seems to go to the military references that were used by the Royal Navy in the 1960s. Despite this odd phenomenon, the first CK2913 lay the foundations for a total transformation of Omega’s dive watches which, more than any other line in its arsenal, seemed to follow the times. This metamorphosis has given rise to some excellent dive watches, proven by the fact that the Seamaster is still Omega’s most popular line.